With Thanksgiving just 72 hours away the media is filled with stories focused on how to avoid family strife, solutions for ensuring the perfect turkey preparation, and 150 beloved and fool-proof side dish and pie recipes you’ll be happy you made. But nobody is talking about the days after. You know, those days when the house is still full of guests and they need to be fed but there’s sure to be an uproar if you suggest Thanksgiving dinner leftovers…again. Keep your guests, and your taste buds, happy and warm up your holiday season right with the bright flavors of Peru. With the enticing flavors and cooking techniques inspired by Peru’s multi-cultural heritage it’s no wonder that three of the world’s best restaurants can be found in Peru and that the country’s cuisine is the hottest thing on the culinary map since well, the aji pepper. Even French-born chefs are getting into the South American spirit of things! Chef Laurent Tourondel, who just opened two establishments at Kimpton’s Eventi Hotel in New York City — L’Amico (www.lamiconyc.com) and The Vine (www.eventihotel.com/nyc-restaurants/the-vine.html), is a huge fan of Peru’s classic cocktail, the Pisco Sour. 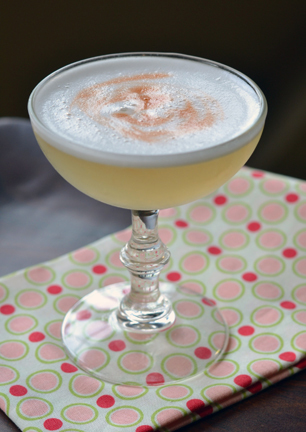 Bartenders expecting to land a spot on his team first are put through their paces executing the perfect Pisco Sour for Chef’s discerning palate. Below he shares his current favorite recipe. 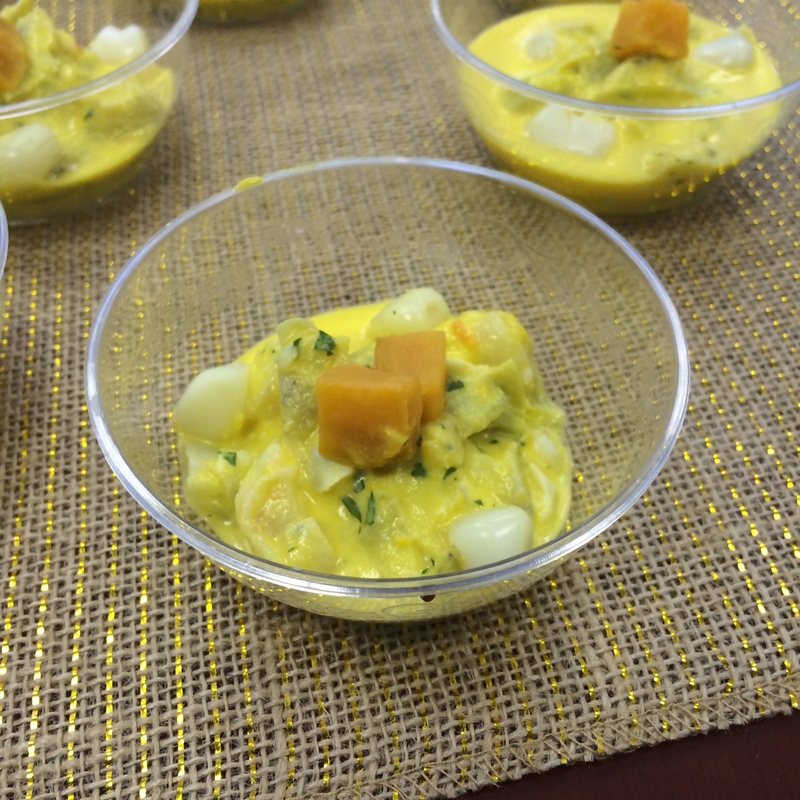 Chef Marita Lynn of Runa (https://www.facebook.com/RUNAperuviancuisine) created a winning dish when she combined the aji pepper in a ceviche with some of Peru’s most popular exports; artichokes and shrimp. Her ceviche, hailed as New York City’s best in 2014, resonates with a savory tang infused by the shrimp and lemon that then chills to the lush earthiness of the artichoke. It’s a complete 180 from the turkey, gravy, and stuffing trio that’s dominated your last few days; offering a great flavor on your palate but little weight in your belly. It might even inspire you to gather the gang for a walk! 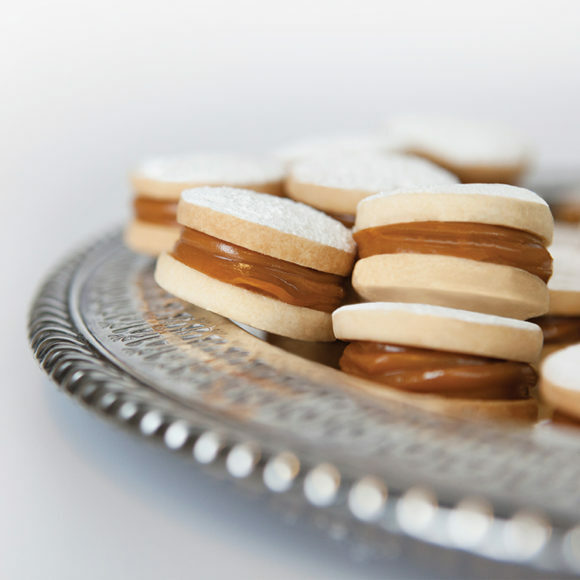 And lest all that pumpkin pie be the only dessert you enjoy this week, you’ll want to try some classic Alfajores. Make them yourself with Chef Lynn’s recipe below, or let Alvaro Omeño of Limanjar Dulceria put his family recipe to good use at his bakery and you can have them shipped directly to you. Or send them to your departed guests. To thank them for coming. (www.limanjar.com). 1)	Fill a medium pot with water, add 8 cups of water and bay leaf. Place on stove on high heat and let water boil. Add the shrimp and let cook for 5 minutes or until color changes. 2) Take shrimp out of stove and strain, remove bay leaf and let cool. 3)	For fresh artichoke hearts: Quarter the artichoke hearts, place in bowl, leave aside. Mix with cool shrimp and refrigerate. 4) For canned artichoke hearts: Drain liquid from can, rinse, and quarter the artichoke hearts, place in bowl, leave aside. Mix with cool shrimp and refrigerate. 5) In a blender, place lime juice, celery, leeks, Aji Amarillo paste and garlic cloves. Blend for 1 minute at medium speed. Then, with the motor running, add the vegetable oil in a slow, steady stream, as making a dressing. The mixture should be creamy. Set aside and chill. 6)	Mix the shrimp and artichoke mix with the Aji Amarillo sauce. Season to taste. Peel leaves off, leaving the heart, which should be quartered. Serve immediately garnish with cilantro on top, sweet potatoes and corn. In a bowl, mix together, the flour, butter and sugar. Once mixed, use your hands to create a uniform dough. Cover the dough with plastic wrap and rest in the refrigerator for 30 minutes. On a floured surface, making sure to flour your roller, roll the dough to ½- inch thickness. Using a 2 inch round cutter, cut out Alfajores and place on baking sheet. Bake for 20 minutes, let the Alfajores cool on a wire rack. Combine evaporated milk and condensed milk in a pan with cinnamon stick and simmer for two hours until it changes color and obtains a thick consistency. *Manjar Blanco/Dulce de Leche can also be bought at any store, jarred or in a can. Filled the Alfajores with dulce de leche sandwich style. Dust with powdered sugar.